before i can use this valve i need a proper switch. Now i have bought a sonoff basic smart switch but i don't think this will do the job. i need a wisselschakelaar (is this called a changeover switch in english?). So my question is witch switch can i use so that homey can open and close this valve. First you have to look how much amp it uses, i dont think it is huge but better be save. Because otherwise you have to use a separate relais. 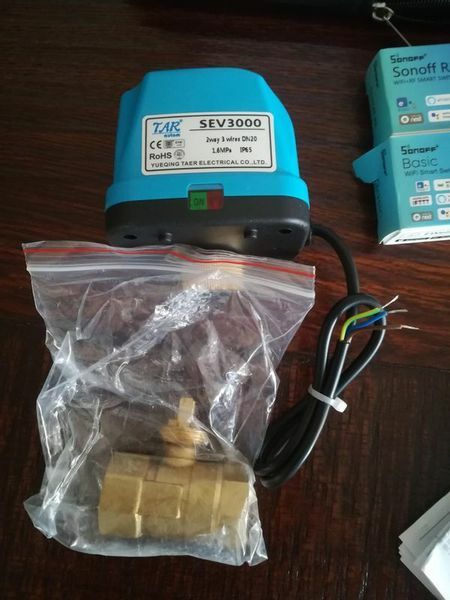 But you can look at the popp strike lock, this is nothing more the a zwave relais wich is supported by homey. I have found it on the internet for 60 euro's. I forgot to say that i need it to be a little bit cheaper. That why i bought the so off switch. I there no cheaper solution? Oké thanks i Will order some to try it. Is de wifi variant wel geschikt voor 220volt? I today finaly did get it working with a 2 relay board. 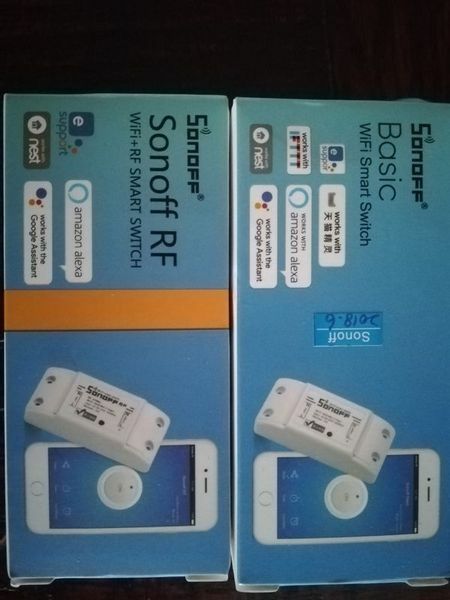 Why not buy a second sonoff switch??? Connect the neutrals togather and the L connection of Sonoff 1 connects to blue and the L of sonoff 2 connects to brown. Turn on 1 to close the valve. turn on the other to open the valve. 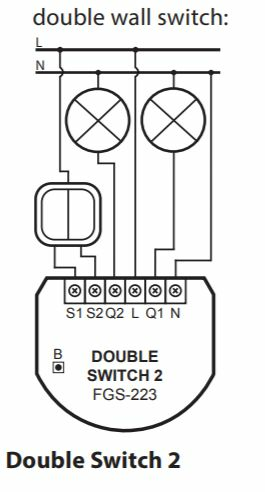 Function is the same as the switch in the schematic, only you use 2 switches in stead of a change over. Be aware that you turn off 1 efore turning on 2 and the other way around. Gijsje is correct. If the turn oof command is not received you can turn on both coils, which might cause the valve to overheat. I was also thinking of getting one for when the water leak sensor find a leak to close the valve. But then you would only need the close circuit to be powered when there is a leak detected. I have read the post regarding this sync mode. It says at the end that it is stil possibile to have both on for a millisecondi! Is this save enough? Except for the wait, the firmware already does that if you set the synchronization mode to "Zero or one switches active". In this sync mode, the firmware will check it never has more than one relay ON. One thing thou: right now it will action the relays in order, so there is a change to have both on for a few millis. I did something similar for a garden tap with ta fibaro z-wave dual relay. The ball valve I started with had an integrated controller which meant opening closing needed 2 signals to effectively switch. With Fibaro module you can specify the amount of time it sends each signal, so maybe that would work for you too. i find 2 fibaro switches on the internet namely the FGS-222 as discriped in your post and the new FGS 223 double switch 2. The FGS 223 is less expensive but do they both have the functionality to use on this ball valve? Not exactly in topic, but can you adjust the time in which the actuator will close the ball valve? You want to prevent water hammer by slowly closing the valve. I'm not 100% sure. My valve needed a common connection as well as a positive/live for both the open and the closed connections to be switched at the same time (ie the circuit board needs to be told to turn on the 'open circuit' and turn off the 'closed circuit', each having a pair of contacts), which is why I went for that relay. I have reveived my fibaro FGS 223 yesterday and connected it this morning. Problem is that when i set the switch to off the ball valve closes. After a few seconds it opens again and stays open. What am i doining wrong? i have tried 3 difent options that ar mentioned in the FGS 223 setting (switch options). Non of them works. How is it wired exactly? i can't find out what is parameter 20. 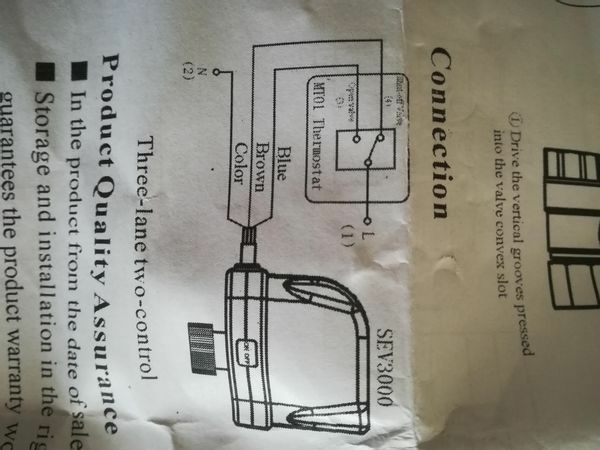 I'm not a fibaro expert but I think that bit in the manual is referring to 2 things. First one lets you swap the way the switch works in case you wired L1 and L2 backwards or installed a rocker switch upside down. Secondb effectively allows a double click action to set the maximum (eg a dimmer on full brightness). Neither should matter here I think. ...and what have you connected to what ? Q1 and Q2 are connected to the ball valve. Q1 to close and Q2 to open. L wire to L and N to N. Thrird wire of the ball valve goes to the N. It worked fine this way using a normal toggle valve (wisselschakelaar).